Professor Keiter's most recent book is To Conserve Unimpaired: The Evolution of the National Park Idea, which was published by Island Press in April 2013. His other books include Keeping Faith With Nature: Ecosystems, Democracy, and America's Public Lands (Yale Univ. Press 2003); Reclaiming the Native Home of Hope: Community, Ecology, and the West (Univ. of Utah Press 1998); Visions of the Grand Staircase-Escalante: Examining Utah's Newest National Monument (Utah Mus. of Nat. History & Wallace Stegner Center 1998); The Wyoming State Constitution: A Reference Guide (Greenwood Press 1993); and The Greater Yellowstone Ecosystem: Redefining America's Wilderness Heritage (Yale Univ. Press 1991). 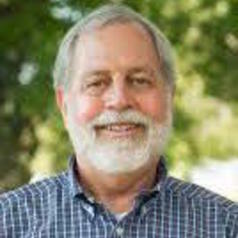 He has also written numerous book chapters and journal articles on public lands and natural resource law, addressing such topics as national parks, ecosystem management, wildfire policy, and biodiversity conservation. He serves on the boards of the National Parks Conservation Association, the Rocky Mountain Mineral Law Foundation, the Greater Yellowstone Coalition, and the University of Utah's Institute for Clean and Secure Energy. He served as President of the Rocky Mountain Mineral Law Foundation in 2013-2014. Professor Keiter teaches Natural Resources Law, Constitutional Law, Administrative Law, and Federal Courts. He has received teaching awards from the University of Utah S.J. Quinney College of Law, the University of Wyoming College of Law, and the Rocky Mountain Mineral Law Foundation. In 2008, he was named a University Distinguished Professor by the University of Utah. His current project is a revision and update of his Wyoming State Constitution book for Oxford University Press.